What if screening for cancer was as easy as checking your cholesterol? That’s the promise of techniques currently in development that may one day make it possible to detect the earliest stages of cancer with an annual blood draw. So-called “liquid biopsies” involve extracting free-floating cancer cells or cancer DNA from the bloodstream (or in some cases from the urine) to get information about tumors too small or hidden to detect with standard techniques. This could make it possible for clinicians to remotely monitor how cancer patients are responding to treatment, to detect early warning signs of recurrence, and even to pick up the very first signs of cancer in otherwise healthy people. Over the past several years, industry excitement surrounding these techniques has accelerated rapidly, with established biotech companies such as Qiagen, Roche and Illumina and a bevy of startups such as Guardant Health and Foundation Medicine getting into the liquid biopsy action. Several have already implemented liquid biopsy tests to inform diagnosis and treatment in certain subsets of cancer patients and some – such as Illumina’s Grail spinoff – are promising to offer early cancer detection to patients within the next few years. While many researchers agree the technology is exciting, the question is: Will liquid biopsies become the next big thing in cancer diagnostics, or will it simply have niche applications? John Witte in his lab with graduate student Clint Cario. “Right now it’s the Wild West,” said John Witte, Ph.D., who co-directs the cancer genetics program in the UCSF Helen Diller Family Comprehensive Cancer Center and is working to improve the sensitivity of liquid biopsy techniques to help track the development and progression of potentially deadly prostate cancers. There are a lot of different ways liquid biopsies might be transformative for cancer screening and monitoring, but we’re not yet sure how well the techniques will work. How does liquid biopsy work? Currently physicians remove tumor samples surgically or with biopsy needles, then examine the tissue under microscopes or analyze it genetically to make a diagnosis and guide treatment. This approach is expensive, invasive and usually only possible once a tumor has grown large enough to already be a major threat. Worse, cancers often continue to mutate as they spread, meaning that a biopsy of the original tumor may not help to treat invasive metastatic colonies. Micrograph showing the most common form of prostate cancer, taken by needle biopsy. New liquid biopsy techniques could one day diagnose and monitor cancers without invasive techniques. This is why researchers, clinicians and diagnostic companies are so eager to develop technology that can allow them to analyze tumors without an invasive procedure. The older and more well-established technique involves filtering blood samples for rare circulating tumor cells (CTCs) that have been shed by a tumor and can be recognized using common molecular markers present on the surface of many types of cancer cells. The DNA of these cells can be used to learn about mutations underlying the patient’s cancer, or the cells themselves can be cultured and used to identify personalized cancer drugs. Several companies are already offering such tests, and hundreds of clinical trials are currently in the pipeline. 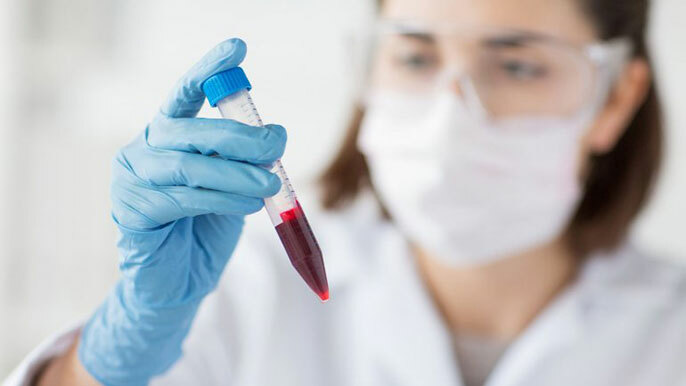 Though researchers have been working on CTC liquid biopsies for decades, many attempts at clinical applications have so far been disappointing – in part, because not all cancer types produce recognizable CTCs. Even where scientists know what CTCs should look like, finding a few of these exceedingly rare cells among millions of blood cells is a major challenge – even more so at the earliest stages of the disease. More recently, researchers have made progress on the considerably harder feat of reliably detecting so-called “cell-free” circulating tumor DNA (ctDNA). These techniques, which rely on matching blood-borne DNA fragments to the genetic sequences of known tumor mutations, can theoretically be performed much more quickly and with greater sensitivity than CTC liquid biopsies and have recently spurred highly touted liquid biopsy efforts by companies like Illumina. “The technique has suddenly become hot because new sequencing technology has made it seem possible for the first time,” said Pamela Paris, Ph.D., a UCSF cancer genomicist who uses CTC liquid biopsies in her research to link specific prostate and bladder cancer mutations to effective drugs. However, there are still kinks to be worked out, Paris cautioned. For instance, fragmentary ctDNA on its own contains less information than fully intact cancer cells. In addition, since ctDNA is thought to be released by dead or dying cells, there’s a chance it could bias clinical results, preferentially providing information about the weakest cancer cells while allowing the most problematic, treatment-resistant cells to remain undetected. Qiagen vacuum manifold used for processing a patient's blood sample in John Witte's lab. The future of liquid biopsy techniques largely depends on how well researchers and major biotechnology companies are able to scale up the technology behind them and prove that it can be both cost-effective and reliable, researchers said. For instance, most ctDNA techniques still miss a significant fraction of the DNA molecules present in the blood – too many to be confident that they can reliably rule out the presence of lurking cancer DNA. However, Witte said, even if it proves more difficult than anticipated to use liquid biopsy for early diagnosis in healthy people, the techniques will probably achieve extremely valuable but more niche uses: aiding researchers’ quest to link cancer genomics with cancer treatment and allowing clinicians to track the progression of certain later-stage cancers – with pancreatic, ovarian, colorectal, melanoma, breast and lung cancers considered among the most promising candidates for immediate benefit.